We had a very constructive meeting with the president to talk about America's fiscal problem. I outlined a framework that deals with reforming our tax code and reforming our spending and I believe that the framework that I've outlined in our meeting today is consistent with the President's call for a fair and balanced approach. To show our seriousness, we've put revenue on the table, as long as it's accompanied by serious spending cuts. And while we're going to continue to have revenue on the table, it's going to be incumbent for my colleagues to show the American people that we're serious about cutting spending and solving our fiscal dilemma. Now I believe that we can do this and aver the fiscal cliff that's right in front of us today. This isn't the first time that we've dealt with these issues. We feel we understand what the problem is and we've felt very – I feel very good about what we were able to talk about in there. We have the cornerstones of being able to work something out. We're both going to have to give up some of the things that we know are a problem. And so it's like when you arrive at a point where we all know something has to be done. There is no more 'let's do it some other time.' We're going to do it now and I think we feel very comfortable with each other and this isn't something we're going to wait until the last day of December to get it done. We have a plan. We're going to move forward on it. We're going to work during the Thanksgiving recess. We're going to meet with the president when we come back the first week – at least that's as I understand it. So I think it was a very constructive meeting. I feel very good about what we were able to talk about. 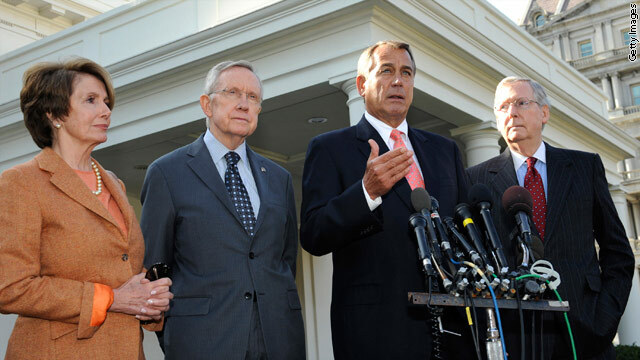 WASHINGTON (CNNMoney) - A cadre of top labor leaders is headed to the White House on Tuesday to press their concerns about the fiscal cliff. Topmost on their list: Tax hikes for the wealthiest Americans, and protection from cuts to Medicare, Medicaid, Social Security and other programs for low income families. Attending the meeting are leaders representing teachers, municipal employees, nurses, truck drivers, grocery store clerks, and factory floor workers, among others. In an email sent to reporters on Sunday night, a White House official laid out President Obama’s meeting schedule for the week culminating in the first round of negotiations with Congressional leaders on how to avoid the impending fiscal cliff at the White House on Friday. But before kicking off the conversation with Congress, the president will host two other meetings at the White House “focused on finding a balanced solution to our deficit challenges and moving our economy forward,” the administration official wrote. 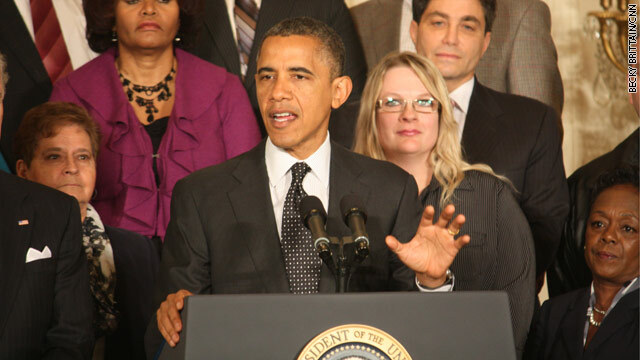 First Obama will welcome “leaders from the labor community and other progressive leaders” to the White House on Tuesday. 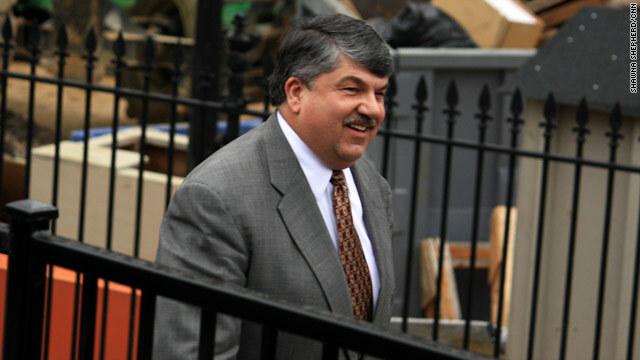 This group will include AFL-CIO president Richard Trumka, SEIU president Mary Kay Henry, NEA President Dennis Van Roekel and AFSCME president Lee Saunders. On Wednesday, the president will meet with business leaders to hear their concerns. Among those planning to attend Wednesday’s meeting are two members of the President’s Council on Jobs and Competitiveness, American Express Chairman and CEO Kenneth I. Chenault and GE CEO Jeffrey Immelt, who serves as chair of the jobs council. Executives from Aetna, Xerox, Honeywell, Walmart, Dow and Chevron are also expected to attend. On Friday, in addition to the meeting with Congressional leaders, Obama will also meet with “leaders of civic organizations,” according to the official’s statement. Washington (CNN) – President Barack Obama's campaign is tapping into some athletic star power in three new web videos meant to encourage sports fans to register to vote for the president. 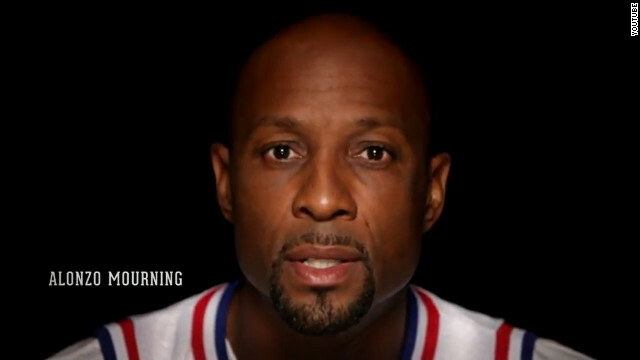 In the latest video, titled "The Greatest" and posted Monday, basketball legends speak directly to the camera against a black backdrop and talk about the definition of "greatness." David Plouffe in the spin room after the first presidential debate on Wednesday. In brief comments to reporters on Friday, White House Senior Adviser David Plouffe questioned the credibility of Mitt Romney’s most recent attempts to distance himself from controversial comments delivered at a private fundraiser last May. In an interview with Fox News on Thursday, Romney tried to further distance himself from the remarks, telling Sean Hannity his comments were “completely wrong,” despite having defended his meaning at a press conference held the day after the tapes from the fundraiser were made public. 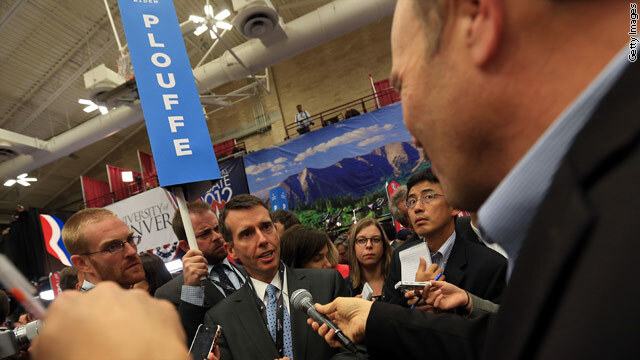 Noting how much time had passed since Romney originally delivered the remarks and his recent attempts to walk away from them, Plouffe added that the GOP nominee’s most recent disavowal should be viewed with some skepticism. “I would take with a huge grain of salt trying to clean something up five months after you’ve said it for the first time and after you doubled down on it," Plouffe said. 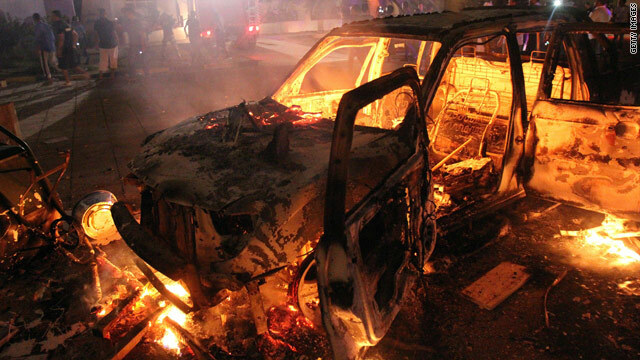 Briefing Bites: Was strike on Libyan consulate a 'terrorist attack'? Both the Romney campaign and the Republican National Committee released statements Wednesday criticizing President Obama for not explicitly classifying the attacks on the U.S. consulate in Libya as “terrorist attacks” in public appearances over the past two weeks. At the UN General Assembly on Tuesday, Obama called the violence, “attacks on America,” but stopped short of labeling the perpetrators as terrorists. “There should be no doubt that we will be relentless in tracking down the killers and bringing them to justice,” the president said. 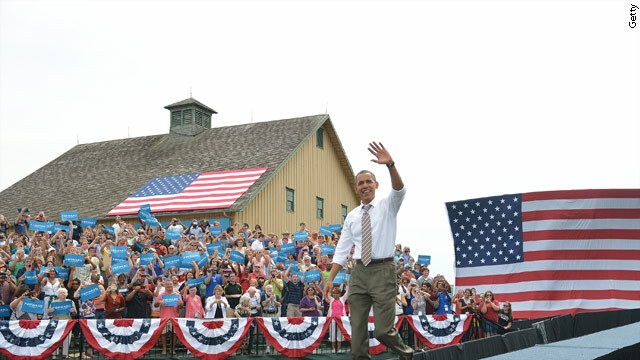 President Obama speaks at a campaign event at Eden Park in Cincinnati, Ohio. Cincinnati, OH (CNN) - The presidential campaign took on an international tone on Monday with both sides criticizing the other’s record on trade relations with China. Just hours after the Romney campaign released a new ad promising to “crack down on cheaters like China,” President Obama announced at an outdoor rally here that his administration is launching a new enforcement action against China with the World Trade Organization (WTO) for providing illegal subsidies on automotive exports. 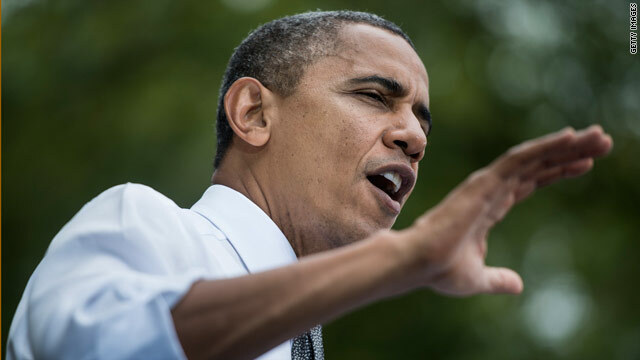 Toledo, OH (CNN) – President Obama spent Labor Day rallying autoworkers at a high school here, and just days after the start of college football season, he used football to push back against his republican opponent. The president then took the cheering crowd of more than 3,000 people through four downs of Romney-ball. 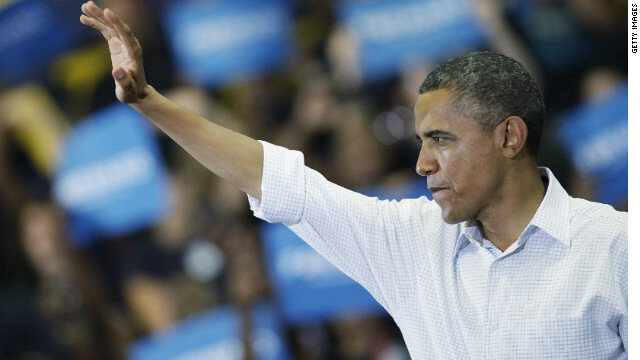 On “first down,” Obama said Romney would raise taxes on the average family by nearly $2,000. 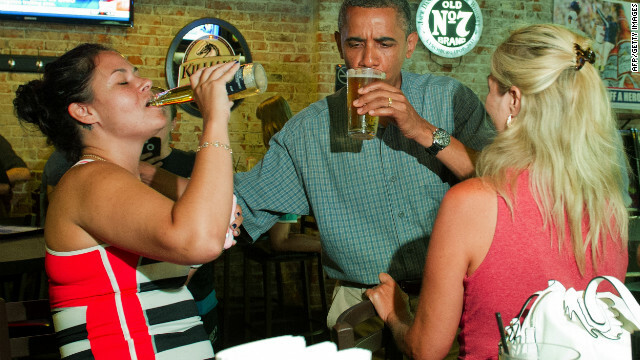 President Obama shared a beer with patrons at an Amherst, Ohio pub during a campaign trip in July. (CNN) – After some pressure from the online home brewing community that included a petition on the White House website and a Freedom of Information Act request, the Obama administration gave in Saturday and released its homemade beer recipe. In a post on the White House Blog, head chef Sam Kass posted the recipes for two beers brewed on the grounds of 1600 Pennsylvania Avenue, the White House Honey Ale and Honey Porter. Both beers are made using honey harvested from the White House bee hive. Read the full story on CNN's Political Ticker.